Seeing as it's the last day of Spring Term we decided we would 'bring games' to school but with a twist. 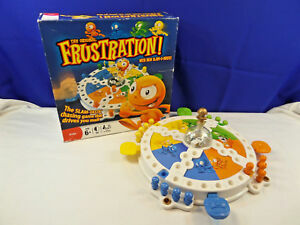 In maths we played Yahtzee, Frustration, Snakes and Ladders, and Pontoon, all needing us to practise our counting skills. We also had to use probability when deciding whether to twist or stick! Today (our last day of term!) 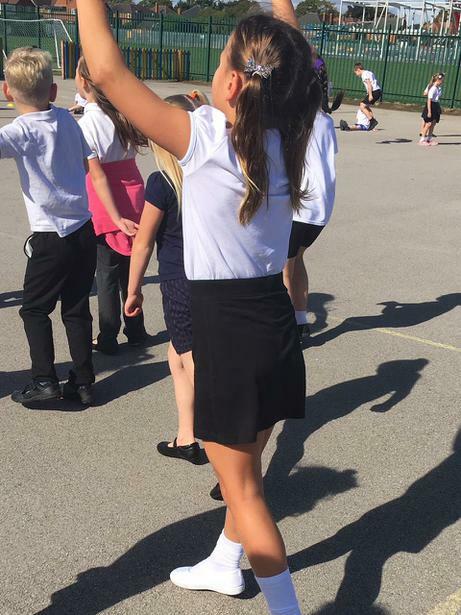 we are investigating changes over time, using a shadow cast by the sun, to try to prove that the Earth moves during the day. Also, we are creating our own puppet shows, to prove that we can change the size and shape of shadows. This week (4th March) we have enjoyed learning all about the Christian faith, signs and symbols. We visited Lincoln Cathedral and pretended to be pilgrims visiting in the 15th century. Throughout the week we created stain glass windows, retelling the tale of the Lincoln Imp, and researched the importance of Lent to Christians. Mr Hempsall has even promised to give up biscuits, cakes and chocolate for Lent! Our favourite fact was about St Hugh, a Bishop of Lincoln, who had a pet swan. There's no point in art!!!! Not really! 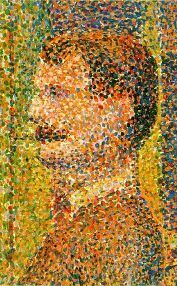 There's loads of points because we are studying Monet and how artists like Seurat then used Pointillism in their artwork. We have experimented with different techniques, using pencils, crayons, felt tips and paint (using cotton buds!). By far the best were felt tips and paints, we didn't enjoy much success using pencils. Watch this space for our results! We've gone a bit dotty! 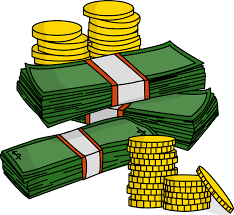 In our maths learning we have been working with money. We have identified all the coins and notes used in the UK (Mr Hempsall told us he had never seen a £50 note!). We've been practising skills adding lots of different coins and notes together. We've also been working on calculating change, so that we know how much we can afford and how much change we should be getting back! For our work on myths and legends we have been reading the book Arthur and the Golden Rope. We spent a week reading the book, researching all the new vocabulary we could find, asking questions about the text and trying to work out the reasons and motives for the character's thoughts and actions. We then wrote our own myths based around the story! 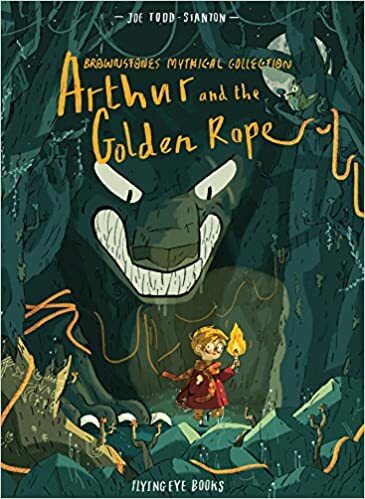 After our myths and legends learning, we then used this book as our inspiration for shape poetry, writing our poems around the shape of a winding, golden rope! PS: Do you know the difference between a myth and legend? A myth is completely fictional, often with magical characters and creatures, a legend is based on truth or possibly true characters (like the legend of Robin Hood). How well do you know the UK? Do you know all the capital cities? Would you be able to show someone the high areas and low areas of our country, including the names of mountains, rivers and lakes? Do you know the difference between a loch and a lough? Well we do as we have been using atlases and maps to study the UK. Soon we will also be designing our own settlements before moving on to studying maps of Europe! 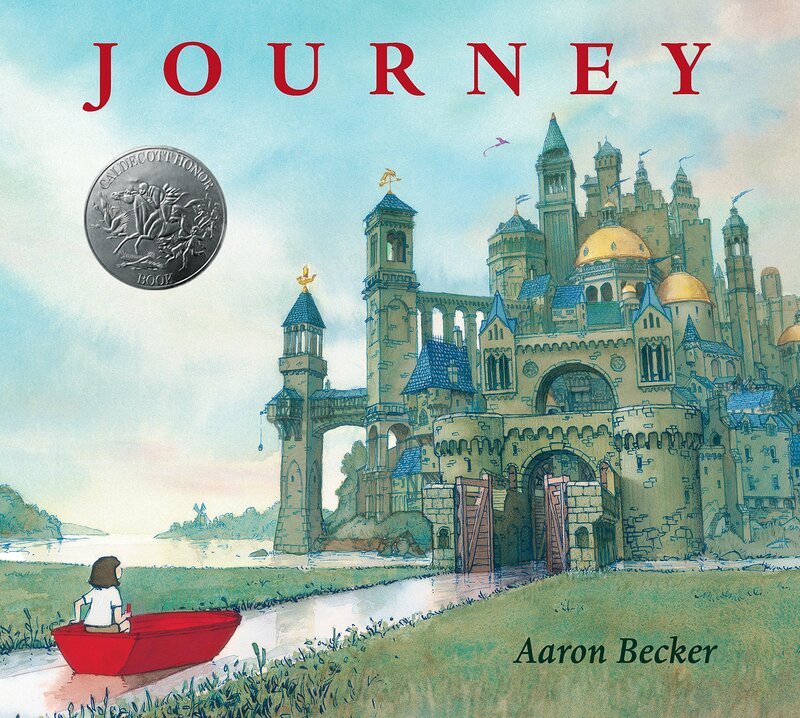 Our new book for reading and writing is Journey and it's unusual because it doesn't have any words! 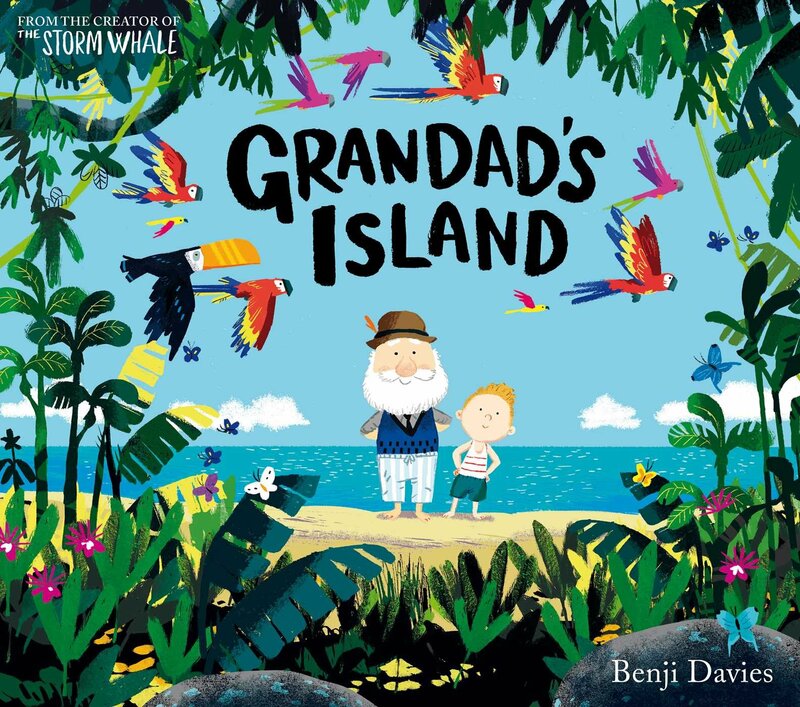 Our job will be to ask questions about the text, predicting and inferring what might be happening and what might happen next. In our writing we will be creating our own narrative stories based around the text. We are also improving our use of inverted commas for speech. Do you know how to create and interpret pictograms, bar charts and tables? We've been working really hard on them over the last couple of weeks. We can now create bar charts using different scales, understanding how to draw guide lines and write in interval numbers to help us. We also know to look at the key in pictograms and understand what half and quarter characters mean. Have you ever grouped capital letters into straight lines and curved lines in a table? We have! 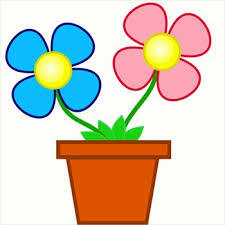 Our learning in science this term is all about how plants grow. We've examined plants by taking them apart and looking at the roots, stem, leaves and flowers. We have also conducted a fair test to find the best conditions for cress seeds to grow. New vocabulary has included photosynthesis and glucose and we've researched how important the leaves are for this. We even brought our new maths learning in and created a bar chart to show the cress seeds growth! Welcome back! It's January 2019 - Happy New Year! This term our essential question is: What does it mean to be European? We are studying the UK and Europe in geography, and also discussing current affairs in our PSHE and British Values learning. We are just coming to the end of our current learning on addition and subtraction. We've practised lots of ways to do it, including using number lines, columns, resources and much more. We've also been estimating to have an idea of what the answer should be, and the inverse to show whether we are correct or not. We've also been spending a lot of time explaining and showing how we have calculated, sometimes using resources, sometimes using representations. So far we have been using roleplay (like hotseating and freeze frame) to explore how the characters might be thinking and why they are doing the things they are. Hopefully this will really help us with our writing .... we'll let you know! In maths we have been solving number problems, making sure we understand the problem and trying to find all the possible solutions. To help us we have used a range of resources to help us visualise the solutions. One of the problems was 'Crossroads' where we had 15 cubes and had to place them on five circles, making sure that they added up to ten both horizontally and vertically. Apparently it all depends on getting the middle one right! 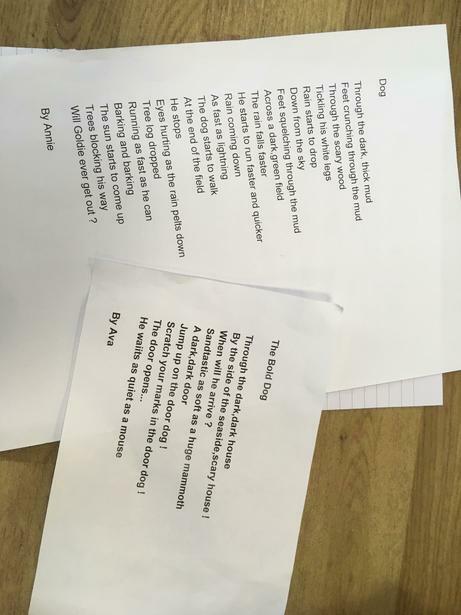 After we had finished reading 'A dark, dark tale' we wrote free verse poems influenced by the story. We made sure we used adjectives, similes, repetition and made up words (like flufftastic). Our Stars of the Week presented their finished poems to the Friday assembly and read them beautifully, loudly and clearly. In our RE learning we have started to investigate the kinds of symbolic items which might be found in a Christian church. We researched the roles of the font, candles, Bible and cross. In the next few weeks we are hoping to visit both our local churches so that we can see these items (and more) close up! We have created a montage of cave painting scenes, trying to tell a story through images of the kinds of activities Stone Age people might take part in, including hunting, cooking, drying fish and playing. We tried to use the same techniques Stone Age people would have used. 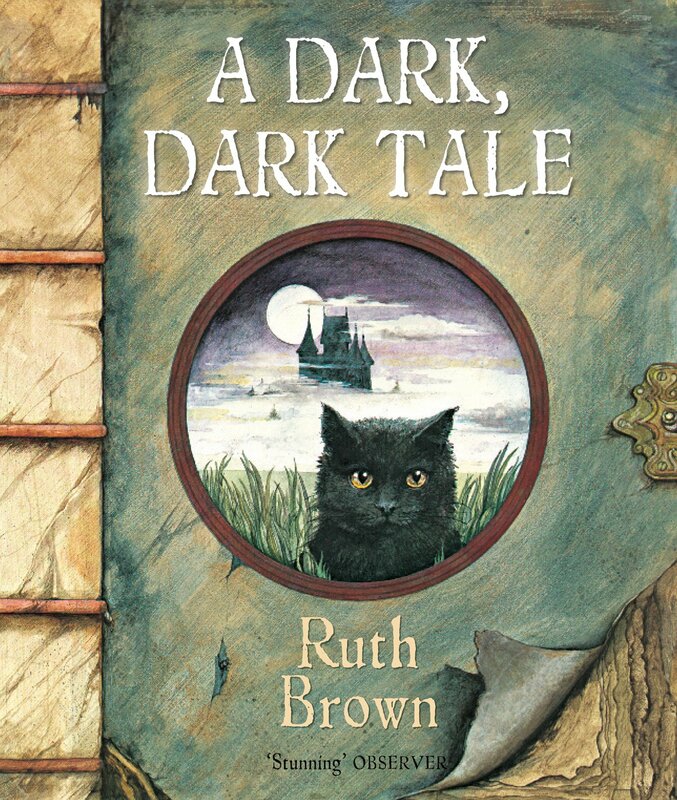 Our new book in English is 'A dark, dark, tale'. Hopefully, we will all will delight in following the black cat's progress through the dark wood, into the dark house, and eventually to the surprise discovery at the back of the toy cupboard, in this mysterious, beautifully illustrated picture book. In order to explore rock formations further we conducted an investigation using Starburst sweets. This was an investigation using the science skill: noticing patterns. Once they were cut up, we pressed them down in layers, applying pressure. We learnt that we were making sedimentary rocks, creating layers with heat and pressure. After that we changed them but crushing them and applying lots of heat with our hands. This turned them into metamorphic rocks! Finally Mr Hempsall used the microwave to melt Starburst and we agreed this was just like igneous rocks, which are formed by molten rocks cooling. Who knew rocks could be so much fun! We have started the year practising our place value skills, finding 10 and 100 less or more than a number, counting in 4s, 8s and 50s, and finding how many hundreds, tens and ones there are in a number. We're using resources where we need to but also trying without them. This year we are going to try to make sure we know the 2, 3, 4, 5, 6, 8 and 10 times tables really well. Practising at home is a great way to make sure they stick in our minds!!! 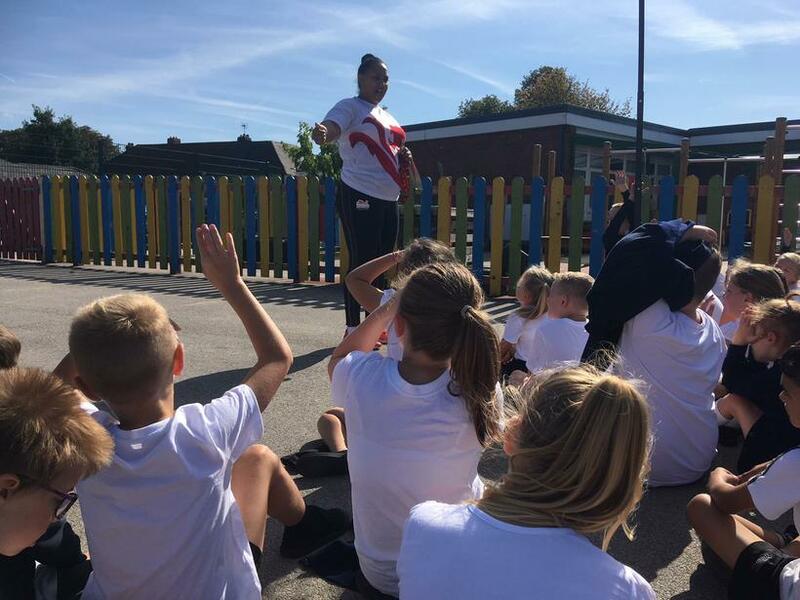 We enjoyed a very special visitor today (13/9/18) when Emily Campbell came to give us an extra PE session. 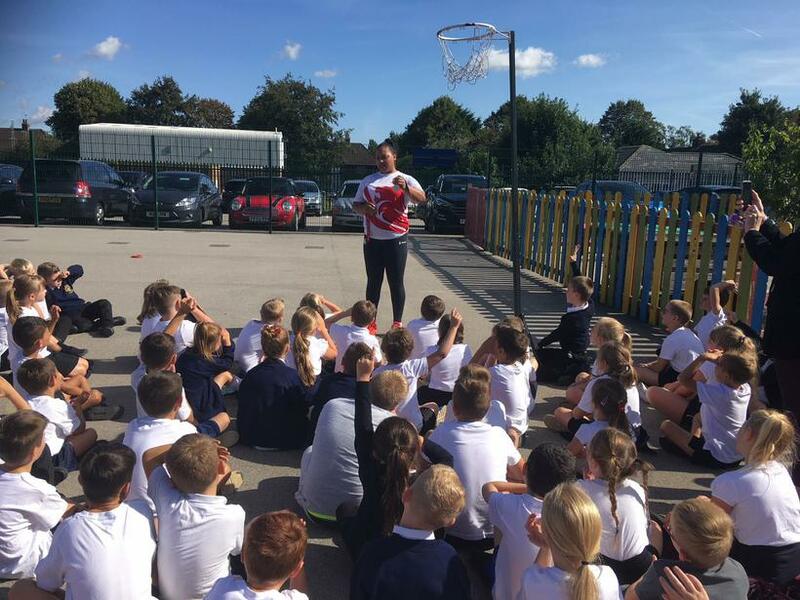 She is a weightlifter and recently won bronze medal in the Commonwealth Games. She helped us work through all of her warm up routines and answered lots of questions on what it takes to lift weights. When she said she could easily lift over 100Kg, Mr Hempsall decided it was time to disappear .... just in case!! Have you ever wondered what the difference types of rock are? We've started our term on rocks and soils by investigating the three types (metamorphic, igneous and sedimentary) plus we've started to get very excited about volcanoes! 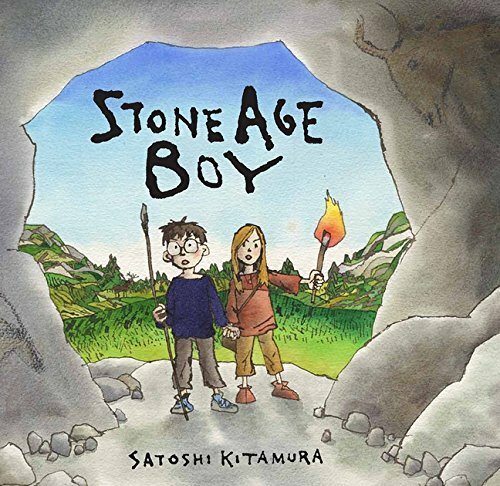 Our text at the start of term is 'Stone Age Boy' and we will be using it to help us with our writing. We are starting with recount and are looking forward to improving our use of punctuation, tense and sentence structure. Mr Hempsall is your teacher and Mrs Dunbar will be in the classroom for much of the time too. This Autumn Term our essential question is "Why is the Stone Age important to us?". Our learning will focus on improving our understanding of how cave dwellers lived their lives, the kinds of food they ate and much much more. We will be reading Stone Age texts and writing lots of letters, recounts, diaries and so on about what we have learned. 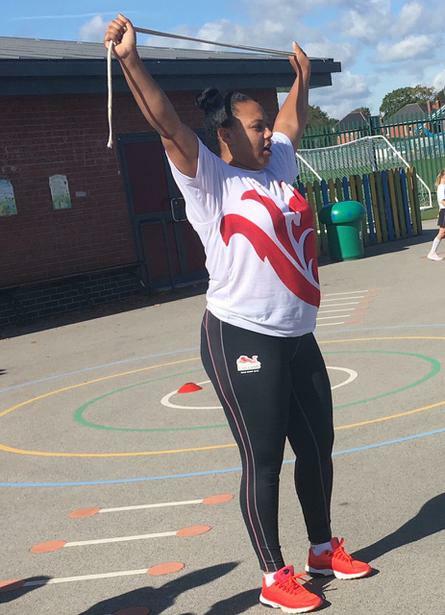 Our PE sessions will be Monday and Wednesday afternoons so please remember to bring PE kits on those days. Also, our lunchtime will be 12:30, half an hour later than the children are used to, so it might be really useful if they bring a healthy snack to enjoy at playtime and to keep them going through the morning! Don't forget as well that now they are in Key Stage 2 fruit is no longer provided by the school.